Will Rogers is credited for noting that “Good judgment comes from experience, and a lot of that comes from bad judgment.” Andrew McCabe is about to suffer the consequences of not following Will’s wisdom. When Joe Lieberman withdrew his nomination for FBI Director last week, he claimed it was because of a potential conflict of interest in that he works for the same law firm as Trump’s lawyer who is defending the president against the faux Russia investigation. In reality, Lieberman perhaps was counting on obtaining the nomination before Trump left on his nine-day world tour. By the time Trump returned on Saturday, the tide had turned against him. The Republicans don’t like him for his ideology; the Democrats don’t like him for supporting McCain in 2008 and for saying nice things about Michael Flynn; gun owners don’t like him because he is anti-Second Amendment; and Constitutionalists don’t like him because of his voting record. Take those away and the chances of his being confirmed all but disappear. When Trump left town, there were several other candidates on his short list for FBI Director, and he even managed to squeeze in a few interviews of some of them before he left. But that short list has now gotten even shorter. 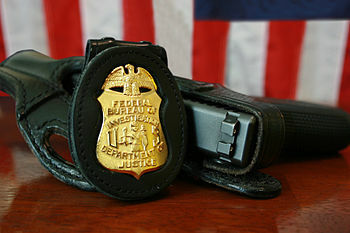 With Lieberman gone, along with Texas Republican Senator John Cornyn, former U.S. Attorney Michael Garcia, and Alice Fisher, the former head of the Justice Department’s criminal investigation division, that leaves just McCabe, the acting Director who took over automatically when Trump fired Comey, former member of the House Rep. Michael Rogers (who has been endorsed by the FBI Agents Association), and Fran Townsend, the former homeland security and counterterrorism adviser to President George W. Bush. The problem is that McCabe is under investigation by both the Inspector General of the Justice Department and the Senate Judiciary Committee. Deputy Director Andrew McCabe helped oversee the FBI’s investigation in the Clinton [email] case even though his wife [pediatrician Jill McCabe] received nearly $700,000 from close Clinton associates during her campaign for Virginia state senate [in 2015]. As the FBI’s second-in-command, McCabe could have significant influence over the ongoing investigation into allegations of collusion between Trump campaign associates and Russia as well. To ask voters to believe that Mr. McCabe as the No. 3 official at the FBI had nothing to do with the biggest, most sensitive case at that agency … strains credibility. Before he became No. 3 at the FBI McCabe ran the bureau’s Washington, D.C. field office that provided resources to the Clinton probe. Campaign-finance records show that 98% of the [Virginia Democrat Governor Terry McAuliffe] donations to Mrs. McCabe came after the FBI launched its Clinton probe. Director Comey, the self-styled Boy Scout, somehow didn’t think any of this would look suspicious? Add this to the list of special treatment for Mrs. Clinton: no grand jury, grants of immunity to her aides, no interview until the last minute, a special exonerating public declaration, and a pre-Labor Day dump of damaging FBI notes. He should be removed as acting Director and then either fired or demoted. When he did not recuse himself from the investigation despite knowing his wife received major campaign contributions from Terry McAuliffe, he broke the ethics rules and tainted the investigation. Time for him to go. McCabe was likely laboring under the assumption that Hillary would win in November and this whole business would just disappear into the ether. That’s a bet, now in retrospect, he shouldn’t have made. He should have listened to Will. This entry was posted	on Monday, May 29th, 2017 at 4:56 pm	and is filed under Crime, Politics. You can follow any responses to this entry through the RSS 2.0 feed. You can leave a response, or trackback from your own site.